Some places are simply related to each other, and visiting only one of them makes the story they tell you incomplete. That’s why round trips are perfect idea for those sensation-seeking. Let’s check the most popular ones and where they lead us! 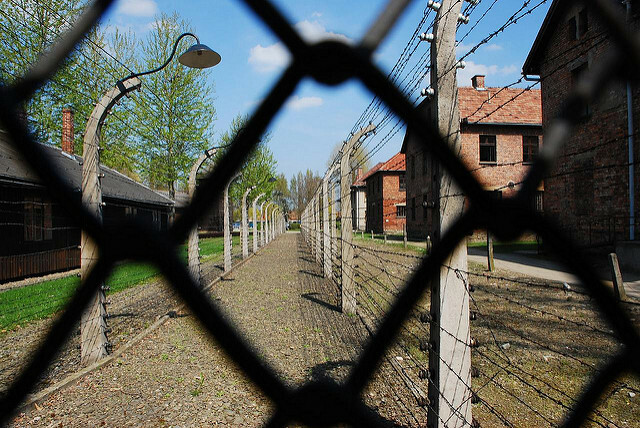 Auschwitz- Birkenau Concentration Camps tour. Although it’s extremely sad and moving place, it’s definitely worth visiting. Fabric of Deaths were created by Nazis on polish lands which they occupied. Prisoners were kept there and worked until total exhaustion. You will have opportunity to pay tribute for those, who were killed here. It’s good idea to visit Krakow and Schindler’s Factory before of after Auschwitz. This modern, interactive museum will present you the times of occupied Krakow and one thousand of Jews saved by this German investor. It’s also worth to visit ghetto in Krakow, where Jews were gathered before being sent to Auschwitz. It’s also possible to see former work camps near limestone quarry. There is also one place connected with Jewish Nation which is pleasant for tourists- former Jewish quarter Kazimierz. One will find there vintage tenement houses, many restaurants and bars, where Israeli music is playing. Best hummus and falafels are prepared there on old, secret, Israeli recipes. Auschwitz- Birkenau is the most gloomy place in Poland. It’s a valuable history lesson everyone should take. John Paul II tour. Karol Wojtyla is one of the most recognizable polish people. This humble boy was born in turbulent times and became the head of the Catholic Church. He was the right person on the right place. Europe was at war and he never forgot about his country. Polish pope always supported independence fighters, all occupied countries were close to his heart. During John Paul II tour people can enter the pope’s childhood home in Wadowice where now is placed museum, and parish church where he was baptized and used to pray. Tourists will also stop at Sanctuary of Divine Mercy in Lagiewniki and Archdiocese Museum in Krakow. The Solidarity Route of Gdansk – Lech Walesa Tour. The leader of Solidarnosc movement- Lech Walesa is probably second most recognizable polish person abroad. He led angry people who rebel against new occupant- Soviet Union. Those strikes led to the fall of the iron curtain. You will hear more about this rebellion in European Solidarity Center, which is the main point during this trip. After you will know something about reasons of the strikes, you will see Monument of the fallen Shipyard Workers of 1970. Then it’s time to see exhibition Road to Freedom, gate number 2 of the Shipyard and also Walesa’s workshop. Usually Lech Walesa Tour is connected with sightseeing main attractions of Gdansk. Among them are St. Brigida’s church, St. Mary’s church, The Crane, Long Market and Neptune Fountain. 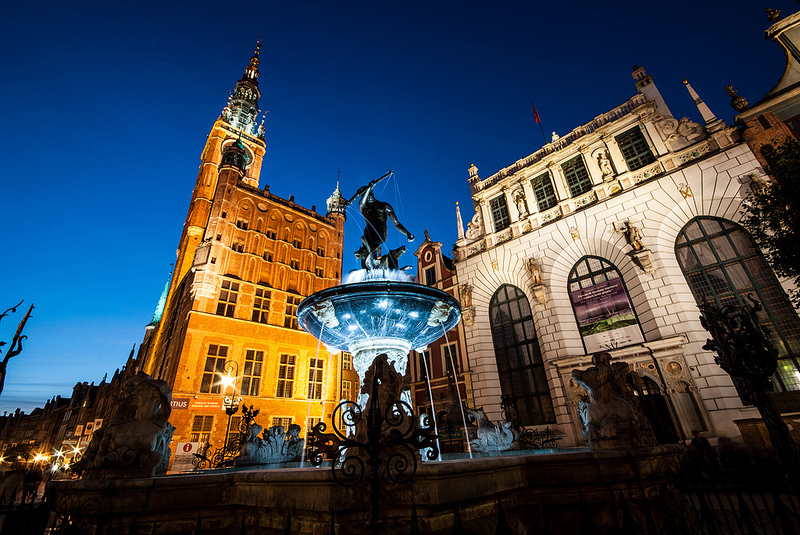 Gdansk in the night- Neptune figure and Town Hall. Isn’t it magical? Poland is famous from pilgrim trails. One of them is Black Madonna Trail. Jasna Gora Sanctuary is one of the most often visited Marian cult place in Europe. The reason so many pilgrims are coming from all over the world is icon of Black Madonna known from many miracles. Most famous of them is siege of Jasna Gora from 1655. Professional Swedish army attacked twenty times smaller group of monks, noblemen and soldiers, who were surprised by this sudden attack. The walls of the church are covered with gifts of people who were returned to health. While visiting Czestochowa it’s worth to enter Czestochowa Museum where you will find archaeological findings, historic tidbits and some art as well. As you can see, there are many interesting round trips in Poland- everyone will find something for themselves! Of course there are many more tours which will show you interesting places in indicated area. We just mentioned those most popular. So, which one is your favorite? I was in Krakow two years ago and I saw Wieliczka Salt Mine, Death Camps in Oswiecim, Schindler’s Factory and I saw city center with the castle and Jewish area. All of them were amazing. I also spend the weekend in Zakopane, which I really recommend. I think people forget about it, because it’s not big, old city but there are many things to do! I went with my high school class to Wadowice and Auschwitz and although we were young I will never forget it. Amazing history of local heroes who lived during second world war.